Treasures In The Attic: Finding A Jazz Master's Lost Orchestral Music : Deceptive Cadence The man who wrote "The Charleston" also had orchestral music played at Carnegie Hall. Baltimore Symphony conductor Marin Alsop retraces her detective work in uncovering lost symphonic works by jazz piano pioneer James P. Johnson. Stride piano pioneer James P. Johnson had dreams of becoming a successful symphonic composer. My first encounter with the name James P. Johnson was a fleeting reference to the composer in a liner note for a Gershwin recording, but it was enough to pique my curiosity. I contacted Robert Kimball, the author of the notes, and he gave me some intriguing background on Johnson. In addition to composing the singular piece of music that came to symbolize the 1920s in America, "The Charleston," Johnson aspired to compose music for symphony orchestra and had actually written several orchestral pieces that were premiered at Carnegie Hall in the early 1940s. I was beyond eager to get my hands on that music, but Kimball was quite discouraging. He told me that all of the parts and scores were long gone; there was no existing recording of the Carnegie Hall event, and there was no chance that I could find that music. He said many people had tried unsuccessfully over the years. Little did he know that "can't" is my four-letter motivator! I became obsessed with James P. Johnson, and my quest to find, restore and revive his orchestral music led me — along with my dear friend and willing collaborator Leslie Stifelman (currently music director of Chicago on Broadway) — on a six-year odyssey in search of Johnsons' long-lost orchestral music. My passion for that unique period in America's musical history, when popular music and "serious" music collided and cross-pollinated to create a whole new art form, drove me forward on my quest. The possibility of discovering a missing musical link between Scott Joplin and Duke Ellington was too exciting a prospect to resist at least trying. The moment when she brought out stacks of sheet music wrapped in plastic, preserved like an old photo album, was unbelievable. James P. Johnson is one of those great unsung American creators who, for various reasons, led a life under the radar. He suffered several strokes during his lifetime and was a quiet, retiring personality in a field of extroverts. But his talent, both as pianist and as composer, was bigger than life. He essentially invented what we today call stride piano style, whereby the pianist's left hand jumps absurd distances to cover the entire lower half of the piano. Johnson had big aspirations to write "serious" symphonic music and join the ranks of Gershwin. But being African-American in 1930s America meant that you could only compose for popular venues, so Johnson wrote numerous hit shows for black Broadway. 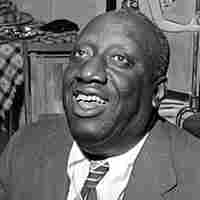 Johnson's piano roll of his hit tune "Carolina Shout" became the measuring stick for every up-and-coming piano player. 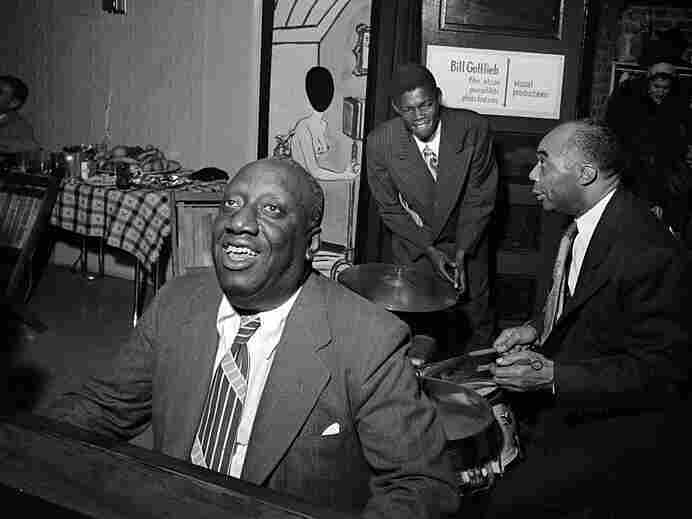 Duke Ellington learned his fingerings from feeling along as Johnson's piano roll played in slow motion, and Johnson himself blew everyone away in "cutting contests" (the virtuosic piano-playing marathons) up until Art Tatum emerged on the scene. A piano roll of James P. Johnson playing his "Carolina Shout." Fortunately for Leslie and me, we teamed up with Scott Brown, a medical student at Yale who was writing a biography on Johnson and willingly joined our investigative hunt for his music. It was truly a detective's challenge, especially in the days before the Internet. Together we visited all of Johnson's surviving relatives, and eventually gained their trust enough to be shown a treasure trove of memorabilia stored in the attic of his daughter, Arceola Glover, in Riverside, Calif.
After years of searching, the moment when she brought out stacks of sheet music wrapped in plastic, preserved like an old photo album, was unbelievable. We gently pawed through the yellowed pages. This was the long-lost music from that Carnegie Hall concert! While the music clearly needed attention — and some was obviously missing — we could see its greatness and understood even more profoundly the enormous talent of this great American creator. We painstakingly restored the scores and recopied all of the music in preparation for performances at Lincoln Center, under the auspices of the Lincoln Center jazz program at Avery Fisher Hall, and a recording for the MusicMasters label (now reissued on Nimbus). We have made all of the music available to orchestras for performance and are incredibly proud to have played a part in preserving this important piece of our shared American legacy.